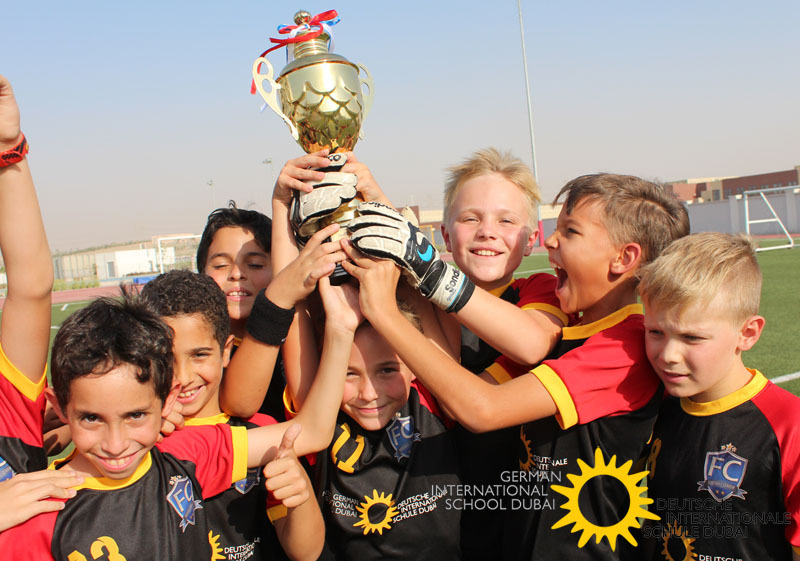 The German International School Dubai was founded in 2008 and is part of a network of more than 140 German schools abroad, which are all registered by the German Ministry of Education. 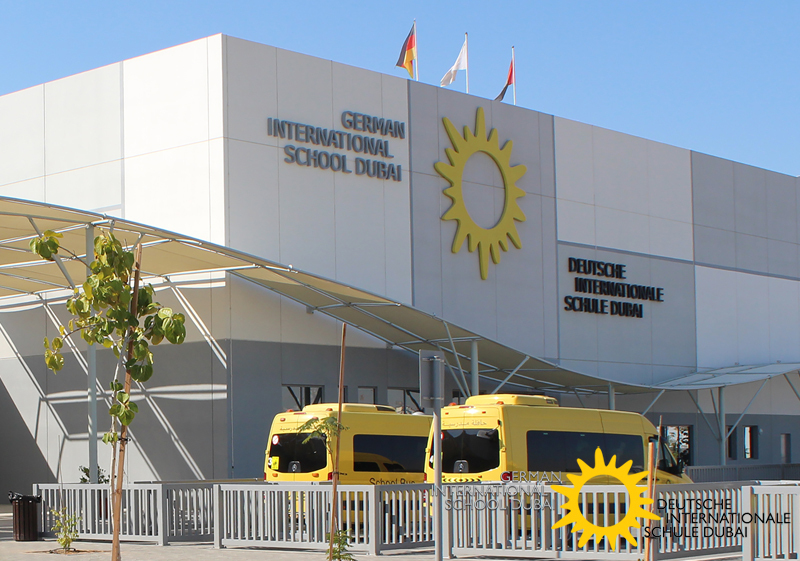 DISD is located in Academic City and can be counted among the most modern German schools abroad. 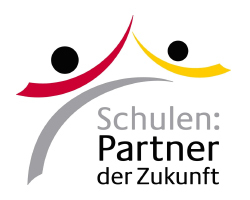 We are an “Excellent German School abroad”, awarded by the German Ministry of Interior, and offer the students an outstanding education based on the curriculum of Thuringia. 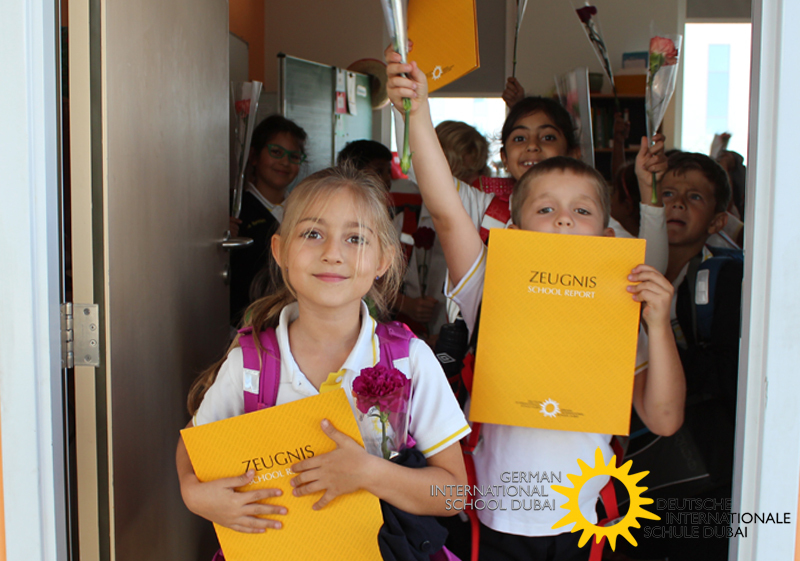 Thus, German-speaking students are enabled to enter all grades during the whole year. 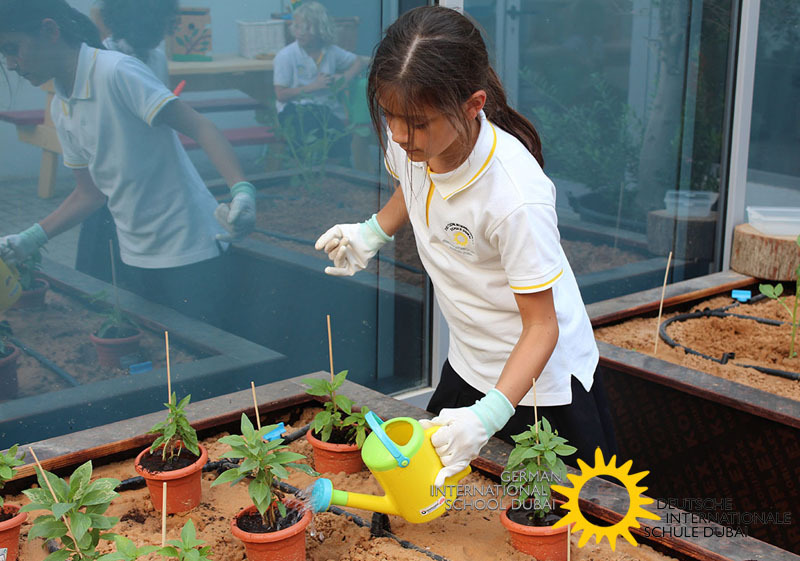 It offers excellent opportunities to learn and grow: bright with a sustainable air-conditioning system, modern science labs, two libraries and superb sport facilities. Around 800 students from more than 30 nations study at DISD in a respectful and open-minded atmosphere. The teaching language at DISD is German. From 8th grade onward, Geography is taught in English and from 9th grade, history is taught bilingually, in English and German. Furthermore, students can obtain language certificates in English and French. According to the local laws, from primary school onward Arabic is a mandatory subject. We have a program for native speakers as well as for non-native speakers. 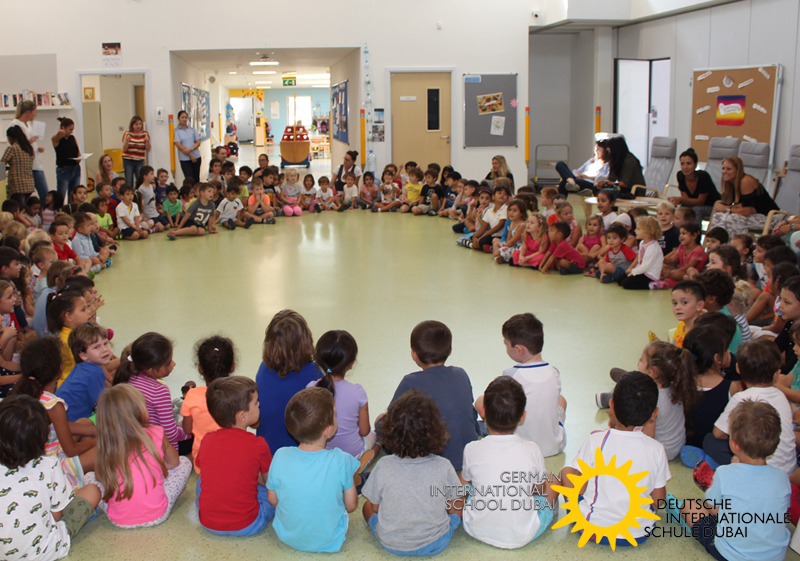 The Kindergarten consists of 12 groups and distinguishes itself by bright, welcoming facilities and a modern versatile playground. Unique, compared to local nurseries, is that the groups are mixed in age. The aim is to learn early, to interact with children of different ages. For children with insufficient German skills, German as a foreign language courses are offered. Cognitive, social and individual learning is best conducted in a friendly, trusting school environment. Techniques to learn and play are taught step by step in order to prepare the children for the secondary school, starting in 5th grade. Different degrees can be archived during Secondary School: Berufsreife (after 9th grade), the Mittlere Reife (after 10th grade) as well as the German Abitur (after 12th grade), which enables the student to study at any university worldwide. All in all, important foundations are being laid for the professional training. 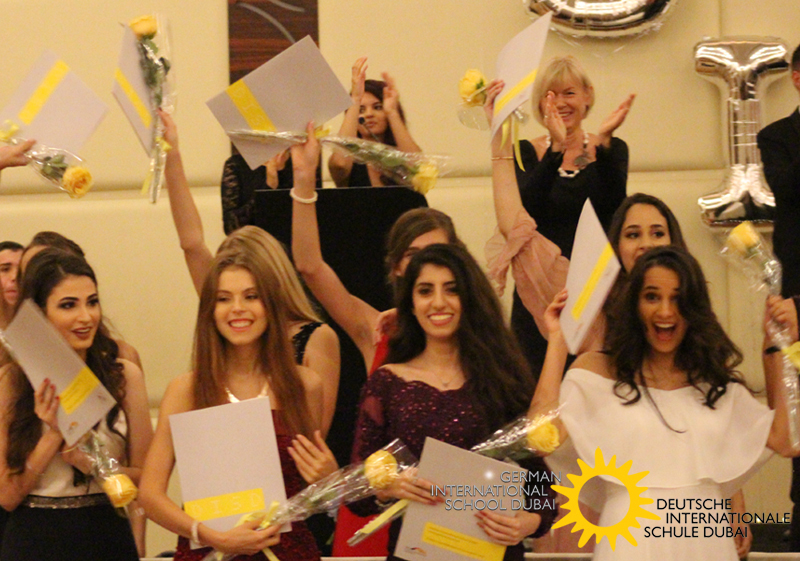 Since the school year 2011/12 the Deutsches Internationales Abitur can be obtained at DISD. 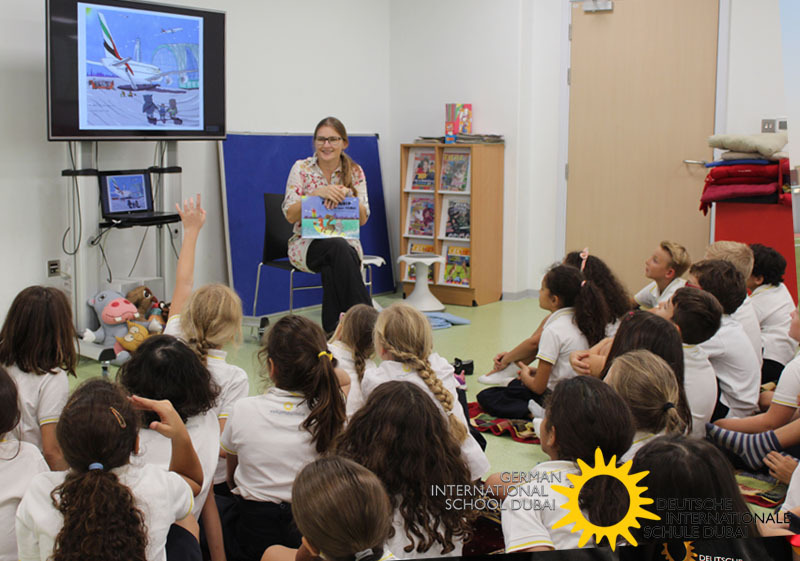 The high auditing standards of DIAP are guaranteed through the presence of representatives of the German school authorities. The bilingual exam in English and German opens doors of universities worldwide. DISD graduates are studying all of the world, for example at the Ludwig Maximilians University Munich, Sorbonne Abu Dhabi and Cambridge University London. Classes are taught by highly qualified and motivated teachers with German state examinations. In a positive working environment, our students receive a wholesome general education, which is formed by quality and professionalism. 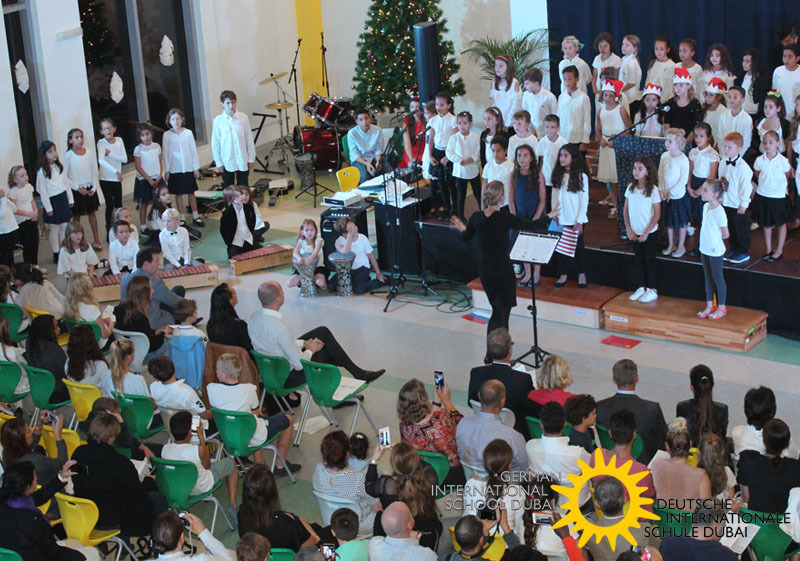 The picture shows an extract of our Christmas concert 2017, which always attracts many visitors and sets a stage for our school choirs, orchestra and band. Please find more information here. We are proud of our generous sport facilities: a soccer field and a tartan track, three-part sports hall, 25 m swimming pool, volleyball and basketball fields. There, varied sport offers take place. You can find all information here. 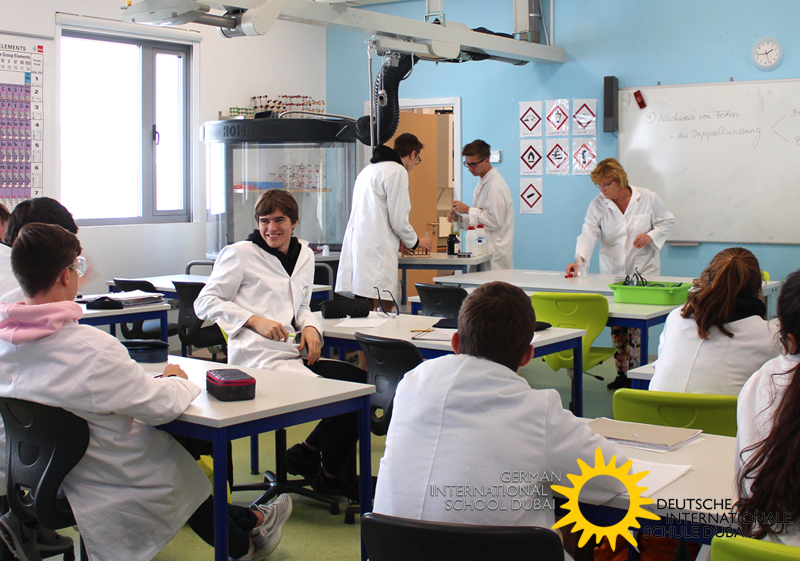 The Science Laboratories for physics, biology and chemistry are perfectly equipped for a variety of experiments. The classes offer the students exciting insights in scientific research and thinking. 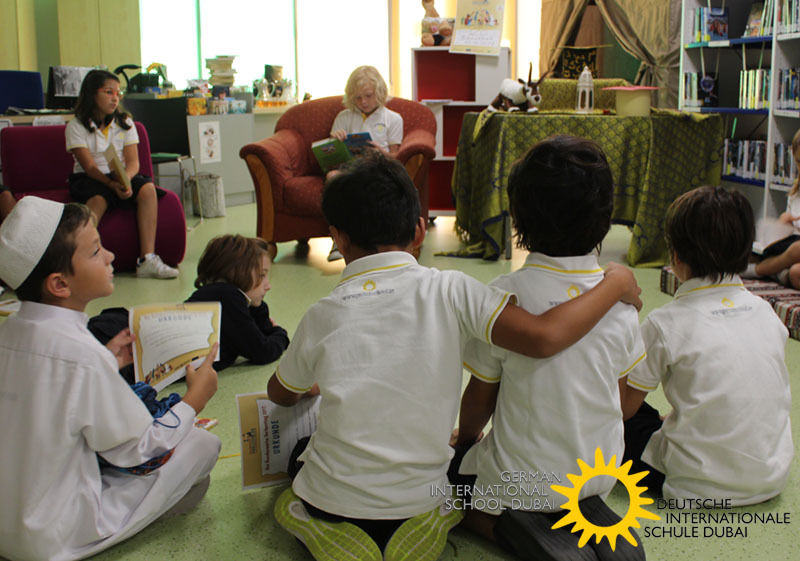 The primary school library consists of a large amount of age appropriate books, which support the students in learning to read. Our engaged librarians regularly organize readings by authors and reading nights, which are greatly enjoyed by our students in the library’s comfy beanbags. Field and overnight trips are part of the educational concept of DISD. Until 10th grade, the focus lays with getting to know the local culture, history and geography. 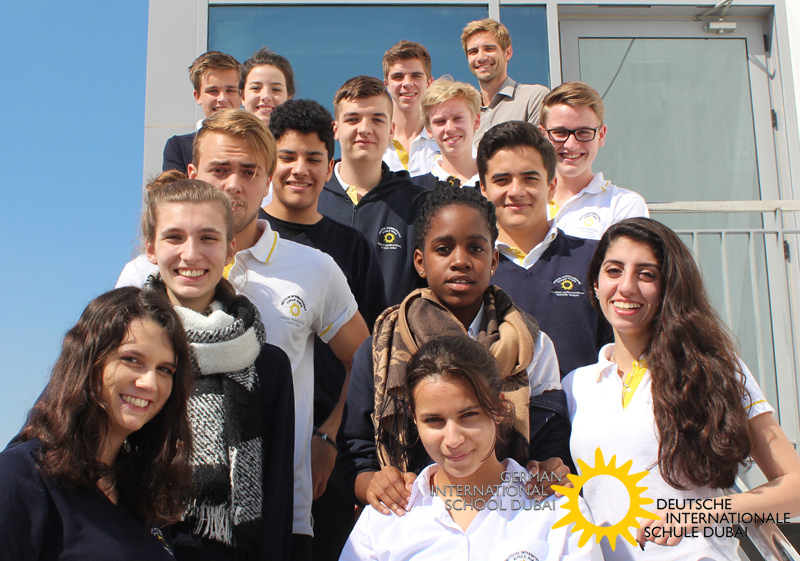 In the last two years, class trips abroad are offered, for example to England and France. DISD offers a school bus service with the school’s own bus fleet and a practiced team of experienced bus drivers and conductors. It distinguishes itself from other schools through the high security standards and short travelling times for students. 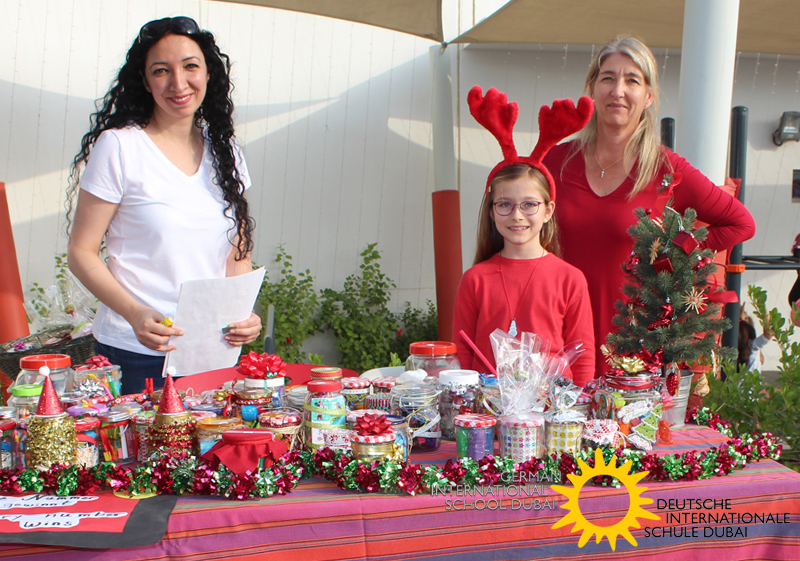 The community of staff, students and families comes together for regular events and projects during the school year. German and Arabic culture is fostered and traditional festivities are celebrated together. A highlight is for example our Christmas market.